We’ve watched so many amazing rescue videos by Eldad Hagar. Each and every one of them has moved us. And once again, he has saved another life. An urgent message came in on the Hope for Paws line; it was about a homeless dog who has been out in the field for a few days. The people who saw the dog have tried to save the dog, but each time they go near him, the dog runs. Eldad quickly went to the area and saw the dog sleeping in the field. He tried to sneak up on the dog while he was sleeping, but when he got closer, the dog woke up and ran. This dog is gonna be hard to catch, but they weren’t about to give up on him. 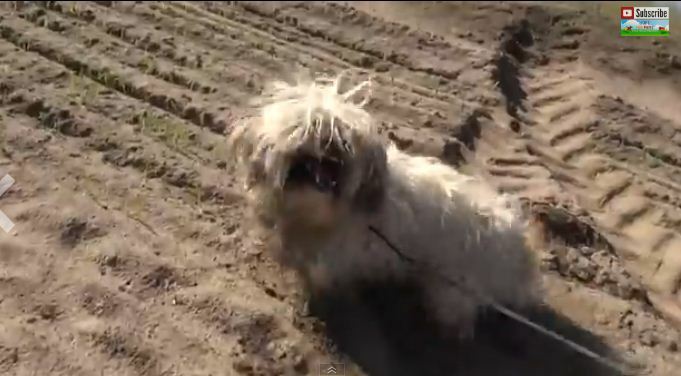 Will they be successful in rescuing this poor dog? Watch the dramatic video below and find out! Alfie is such a beautiful dog! Please share this video and help him find a loving, forever home!